I have recently returned to Nova Scotia after almost eight years in Toronto. Eight years (!!) was certainly longer than I anticipated at the outset (especially considering I hated Toronto at first), and longer than I’ve lived anywhere since I left my parent’s home. I found that as I settled into the city time just flew by. As time passed, Toronto and I developed a sort of love-hate relationship with one another. Thankfully, the love won out on most occasions and the City and I were able to work our way through the rough patches. Toronto just had so much to offer – especially to someone of my small-town origin but big-city dreams – there was no point fighting it for long. That said, I am not sorry about my recent repatriation to the East Coast. I feel it was bound to happen eventually – I am a salty girl. Also, I love beer and fish cakes (and waves, samphire greens, tide pools, and my family). It turned into a whirlwind move where everything tumbled into place at the last minute, and I don’t regret it (hopefully I can still make this statement a year from now). I did have my reservations, of course. Halifax looks painfully, depressingly small when viewed from the bustle of Toronto. I have embraced my new ‘city’ to the best of my ability. So much so that I don’t find I yearn for my Toronto life and its hullabaloo nearly as much as I had anticipated. Weird, huh? But there are things that I miss, of course. 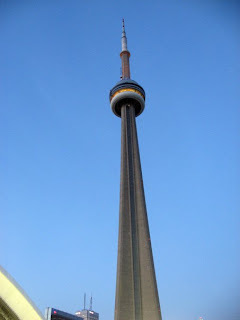 And so I give you Project #1: trying to express some of the things I do miss about Toronto. Some of these are pretty obvious and boring, admittedly, but hopefully not all of them. Thanks for your time, Toronto. I have no intention of forgetting our time together.